Before agreeing to participate in a study, ensure that you fully understand all the information provided. Ask as many questions as you need to and discuss it with friends and family before making your decision. If you decide to go ahead, you will normally need to sign a consent form to confirm that you wish to be involved. Remember that you are not obliged to take part in any research. If you decide that you would rather not take part, this will not affect your care. If you decide to take part but subsequently decide you no longer wish to continue, you can leave the study at any time. Whilst it is something we hope will not happen, if you have concerns about any aspect of research please speak to the researchers using the contact details you will have been provided with. Alternatively, you may wish to contact the hospital's Patient Advice and Liaison Service (PALS) who will offer you support information and assistance about any hospital services. PALS can be contacted here. 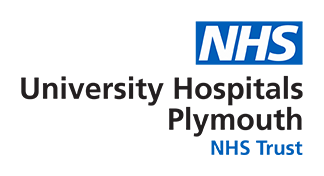 If you are interested in participating in a clinical trial at Derriford Hospital please e-mail plh-tr.RD-Office@nhs.net for more information.